Thank you for taking the time to do this. It’s important information and needs to be in front of us, preferably waved loudly around. (Yes, one can wave loudly.) I don’t know how it would be possible to assemble a list of Maori, Pasifika, Asia poets, since going by name only will leave people out. Perhaps asking people to nominate their favourite poets of [specific] ethnicity would work – even as a one-off, this would be interesting and could be repeated in five years. Book Council? Poetry Society? Yes, thank you for this. 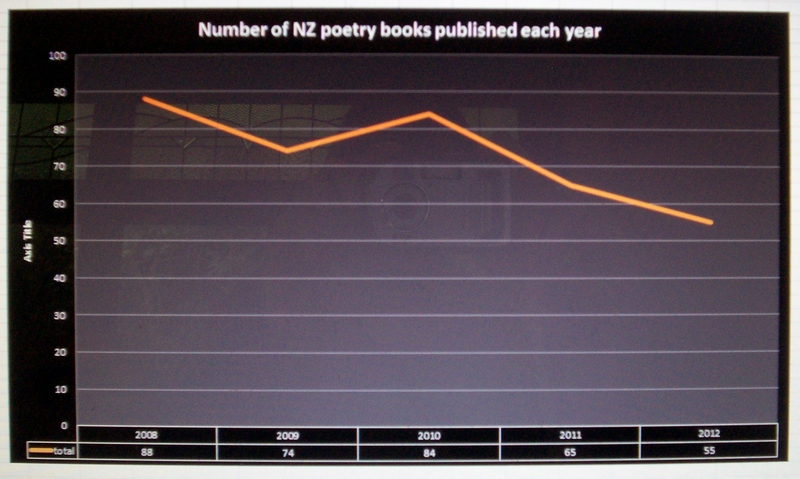 I found similar data around Maori publishing when I was researching my PhD, though I was looking at fiction, which I fear may have even worse stats than poetry for Māori & Pasifika. Published plays were slightly better. There are multiple reasons for this, though my research also identified a lack of any real indigenous literary studies in New Zealand (no courses at tertiary level, limited commitment to indigenous literatures in high schools), and few Māori literature scholars. 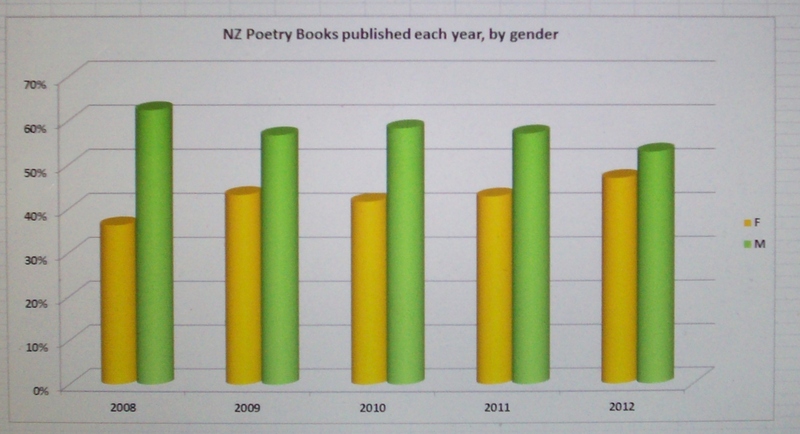 I think if the commitment were there from the universities, and Māori saw themselves represented in the study of literature, the numbers would increase. There is certainly plenty of interest out there, and plenty of writers, but I don’t think the current systems in place allow full engagement (so, we’re working on it!) I’m pleased to see anyone pointing this out and making sure it doesn’t slip off the agenda, which I think it has in recent years. Me Rongo.